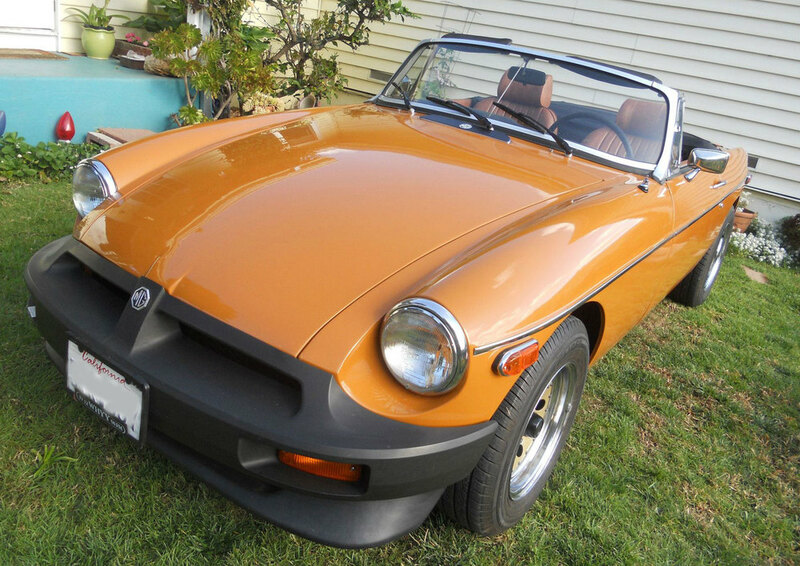 I bought my 1975 MG MGB Mk III 2dr Convertible 4-cyl. 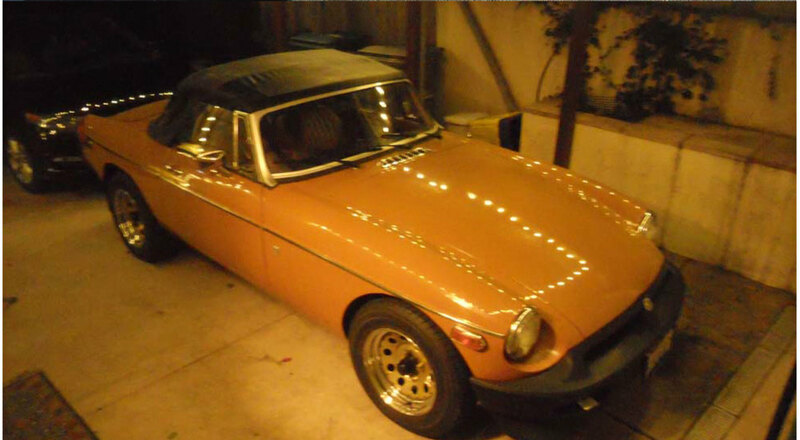 1798cc/62.5hp 1bbl for my 19th birthday in March 1979 in National City Ca. It ran out of gas on the way home from the dealer. I was stationed on a guided missile cruiser in San Diego, 32nd st. I paid the car loan off after a cruise with my sea pay. In San Diego, I took it on many adventures from LA to Ensenada BC (1979) with sailor buddies. I changed the rostyle wheels to more styled gold modulars that are still on the car. 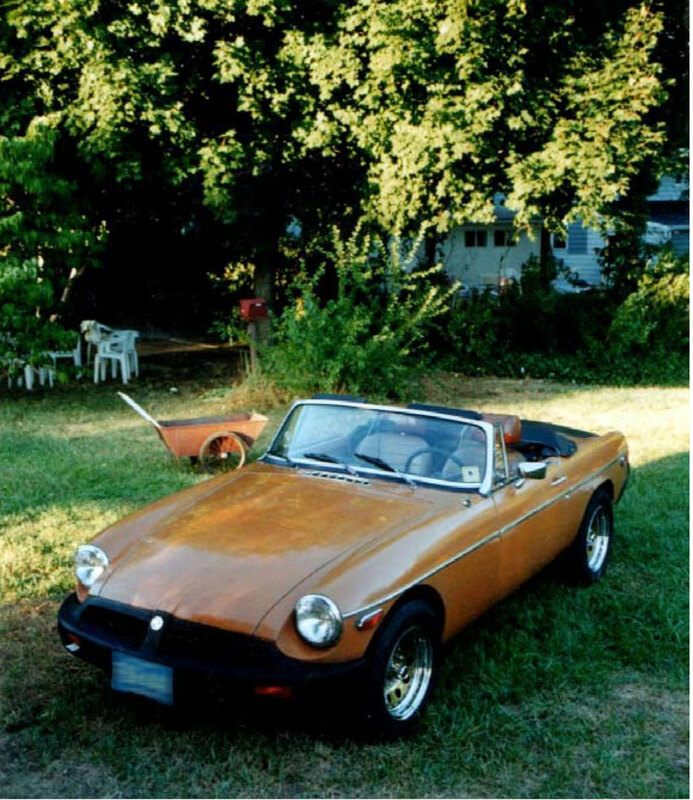 Then in 1982 I drove my MG to the east coast around Philadelphia, where it ran around to places like a Black Flag Concert entrance, the Pennsylvania Academy of Fine Arts where I worked, and Temple University. 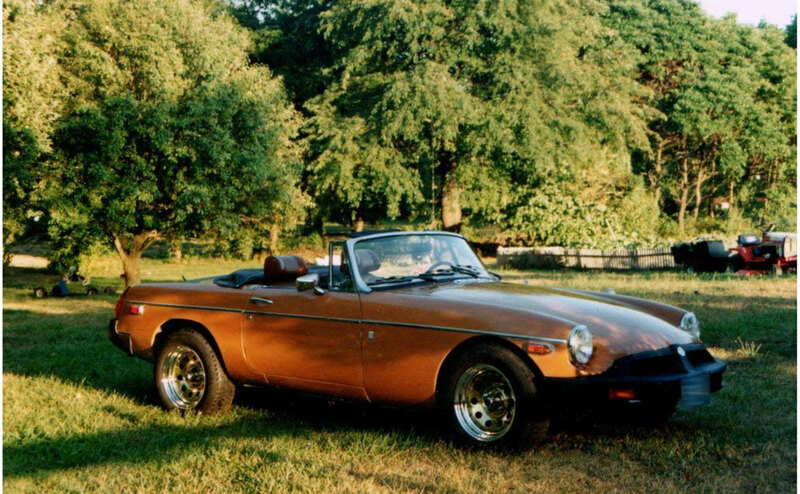 In 1983 I totaled it after overloading it with friends on the way home from a punk wedding and had the front end rebuilt by a drag racing shop in NJ- right before I started college and was broke. In 1992 after it was stolen in North Philadelphia and recovered in bad shape, totaled again, I started a long term restoration. It was banged up a little but still a great looking car. We still had a lot of summer fun in it. Then I found a VB catalog that constantly reminded me to keep it on the road. Spax gas shocks and other bits were purchased in from VB 1992 and installed in 1995, starting an annual tradition of stockpiling parts for the future resto. In the late 90s it rode back to California in a trailer, to Dillon Beach, Marin Co. where it sporadically cruised to the Pacific beaches and coffee shop. 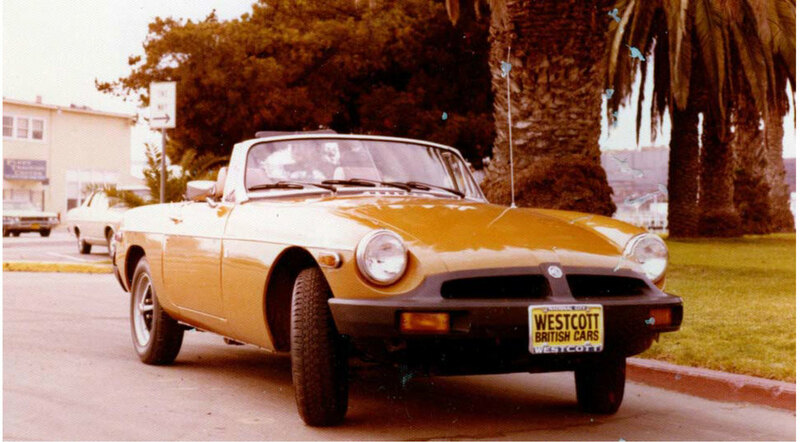 After storage in several sites, including the notorious "Flash" ranch in gold country, the mechanical resto began in earnest, when I towed it into Duncan's real garage to get the rat's nests out of the engine compartment and road ready with a new clutch etc. Months later I drove it back to the bay area to begin a new chapter in its history. I finally got to drive it over the Golden Gate Bridge in 2008. I did a garage rolling restoration of the body and full interior in spring 2013 and it is sweet looking, better than new, with a 2013 clear coat under the 70’s era Bracken (brown/orange) BLVC 93 urethane paint (Bracken is a heath fern in England that turns beautiful orange in the fall). The restoration process was the culmination of years of preparation and was complete in 90 days. 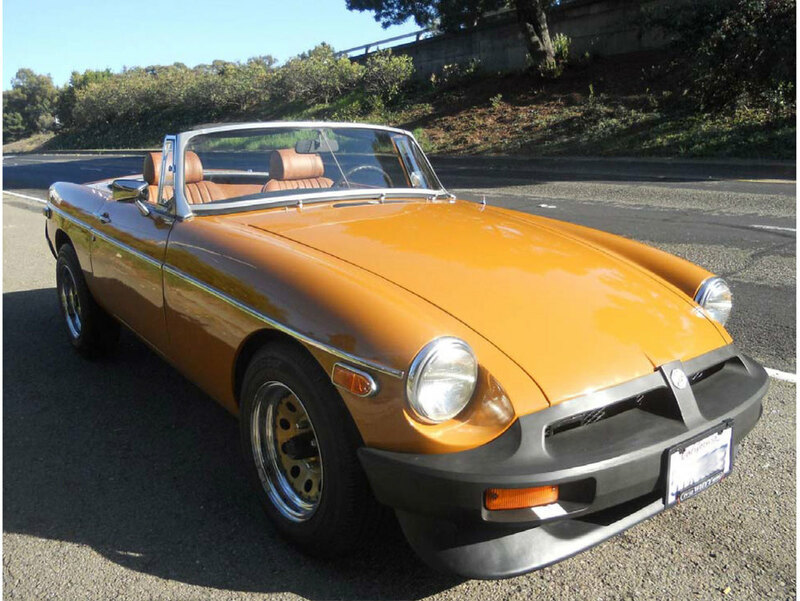 My MGB was shown in its first car show, the Northern California MG Owners Club 20th Anniversary show in Danville CA in 2013. My 1975 baby now tours with original engine and transmission, to all the swell spots in the bay area in 2014 based in the east Oakland hills. We’ve both been through a lot!